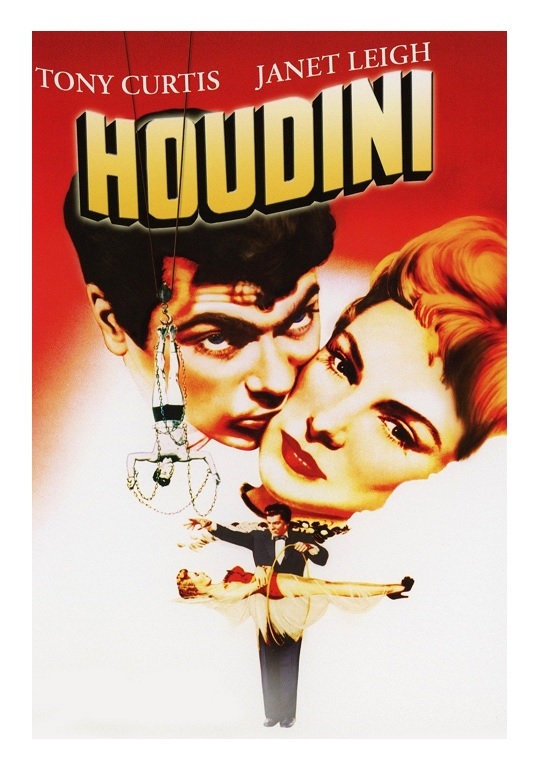 A carny magician, Harry Houdini (Tony Curtis, The Defiant Ones), falls in love with one of his admirers, Bess Rahner (Janet Leigh, The Manchurian Candidate). Bess initially objects to Houdini’s unorthodox job, but she slowly begins to support her husband’s ambitions. After many false starts, Houdini realizes his dream of becoming the world’s greatest escape artist. Houdini is pure fun. There is no subtext, not hidden meaning, no complex visual trickery; Houdini aims to entertaining you and in that regard the film is a complete success. 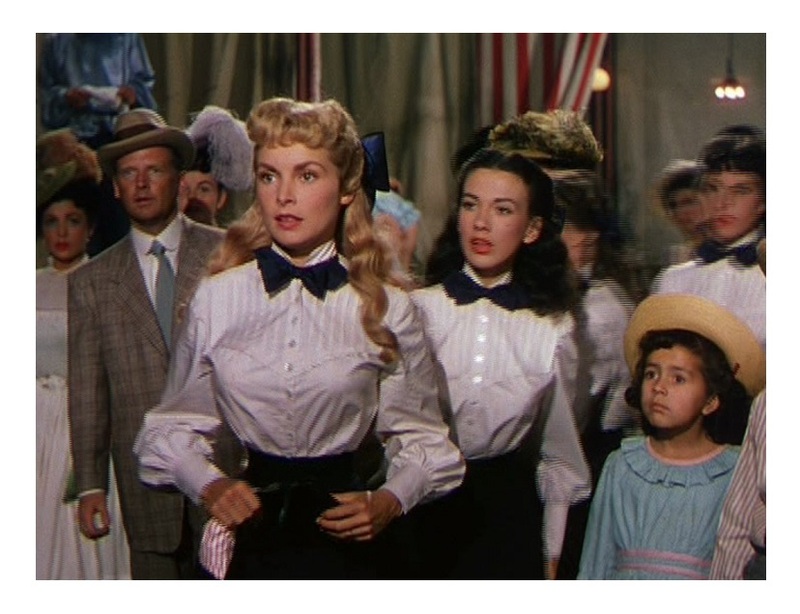 This George Pal production, shot in spiffy Technicolor, is a joy from beginning to end. Houdini is, of course, based on the real-life of escapist artist Harry Houdini, who has become synonymous with escapologism and magic. This is Hollywood in the 1950s, so I don’t have to tell you that most of the film is fiction. Houdini does, however, try to capture the essence of the famous artist. The film was directed by George Marshall (Destry Rides Again). Philip Yordan’s (Broken Lance) screenplay is loosely based on the 1928 book by Harold Kellock. As I said before, Yordan’s script plays fast and loose with facts. That being said, the film recreates some of Houdini’s more famous accomplishments (kinda) faithfully. The film also shows Houdini’s later part of his life as a crusader against phony spiritualism. 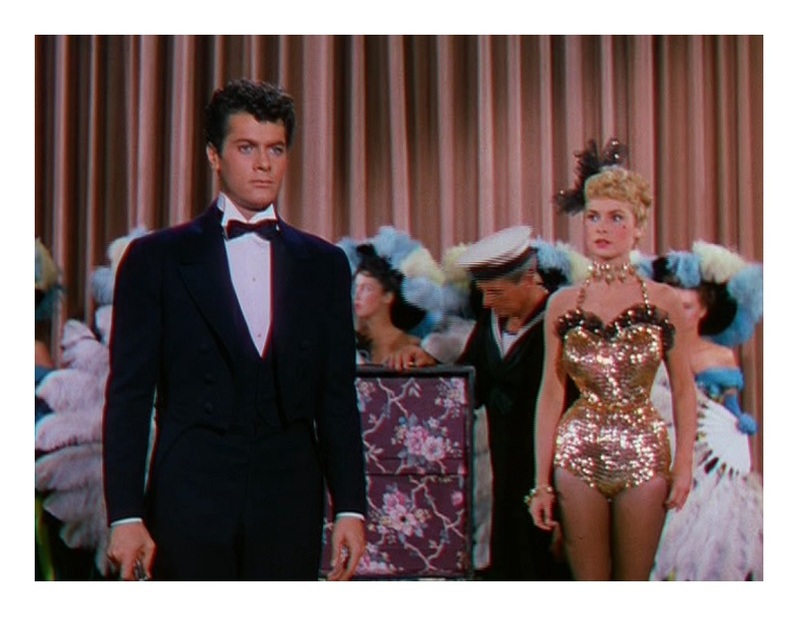 This is the first of the five movies made by real-life couple Tony Curtis and Janet Leigh. Before “Brangelina,” “TomKat” and “Bennifer,” there was “Tonja!” Needless to say, Curtis and Leigh make a wonderful screen couple and the movie takes advantage of their obvious chemistry. Curtis, in particular, is perfect as Houdini. Actor and illusionist had similar backgrounds, so it’s really great casting. The gorgeous color cinematography is by Ernest Laszlo (It’s a Mad, Mad, Mad, Mad World). Albert Nozaki and Hal Pereira (Shane and The Greatest Show on Earth) recreate turn of the century America beautifully. The costumes were designed by the great Edith Head (All About Eve). They all contribute to make the film look stylish. It doesn’t look like much now, but Houdini was a childhood favorite. I still enjoy it very much. The movie isn’t a classic, but it is an entertaining film that the entire family can enjoy together. Color, 106 minutes, Not Rated. I like Tony, I really do, but he was a bit of jerk. He spent the rest of life insulting Janet. His life was a mess, so I’m not sure why he kept attacking her. I’m assuming Jamie Lee Curtis wasn’t happy about it. Anyhow, The Vikings is pretty good, I do need to re-watch it!